Hyderabad: A free soft skill and practice refinement workshop for medical doctors will be held on February 12. 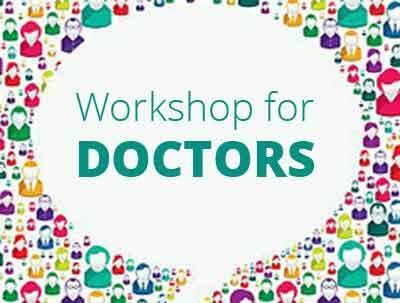 Nearly 200 doctors from most of the corporate hospitals, Nursing homes, Government hospitals, and private practitioners will participate in the workshop. Dr Ravi Kumar, who organised this workshop said that the objective of this first of its kind workshop in Hyderabad, is to bring back soft skills into medical practice. Teaching of soft skills is lacking in the medical curriculum and nowadays, the combination of both technical and soft skills are very much required, Dr Kumar said.”There is a strong need for medical professionals to get sensitised with simple elements in their profession. Doctors should know how to handle patients with better listening skills, interpersonal skills, and communication skills,” said Dr Kumar. Many issues such as Patient Psychology, Patient Communication, Clinical Etiquette, Prescription Writing, and Avoiding Litigation in Practice, Professional Indemnity Insurance, Handling Foreign Patients, Financial Management & Investments, Taxation Planning, Time and Stress Management. The sessions in the workshop, will be handled by relevant experts from various fields, he added.